Robert Woodhead Limited, a Nottinghamshire Construction Contractor has received three more industry awards for excellence. The Heritage Skills Centre has received an LABC (Local Authority Building Control) Award for Best Small Commercial Building. The European Regional Development Fund and Lincolnshire County Council funded BREEAM Very Good Heritage Skills Centre is the first new build development within the grounds of Lincoln Castle for over 100 years. The contemporary design of the Heritage Skills Centre had to be sympathetic to the historic setting, and be sustainably constructed to reduce energy and carbon consumption. The site team worked closely with the Castle Management Team to ensure that the Castles working operations were not effected by the building works. The Heritage Skills Centre will now go forward to the National LABC Awards held in London later this year. 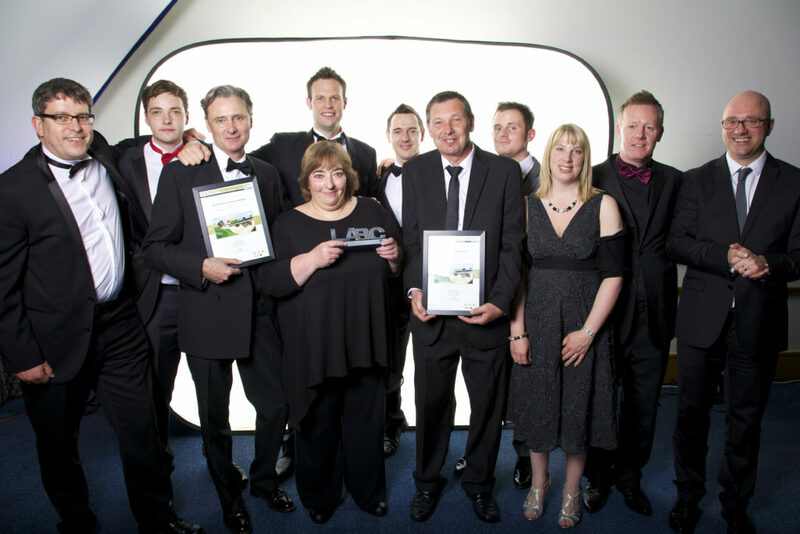 The Heritage Skills Centre also won the award for the New Build of the Year 2012 at the National Federation of Builder (NFB) Annual Awards in London. The National Awards recognise some of the best achievements in the industry and demonstrate how construction contractors have to overcome barriers, to deal with the changing world of construction. Completing the hat trick was Cross Street Eco Town Development in Gainsborough which won the Committed to Sustainability and the Environment Award. The Code for Sustainable Homes level 5 Development which is being monitored for two and a half years for energy performance in use scooped a sustainability award earlier in the year and the latest NFB award recognises the commitment to build smarter spaces for tenants by monitoring energy consumption in use which will help to tackle the growing issue of fuel poverty. Left to right Glenn Slater, Mathew Hall, Rob Green, Alistair Taylor, Mary Powell, Michael Broadhurst, Peter Winson, Anthony Leach, Hayley Valance, David Ashworth and Craig Pygall celebrating a successful evening.